I wish Spring would get here, pronto. 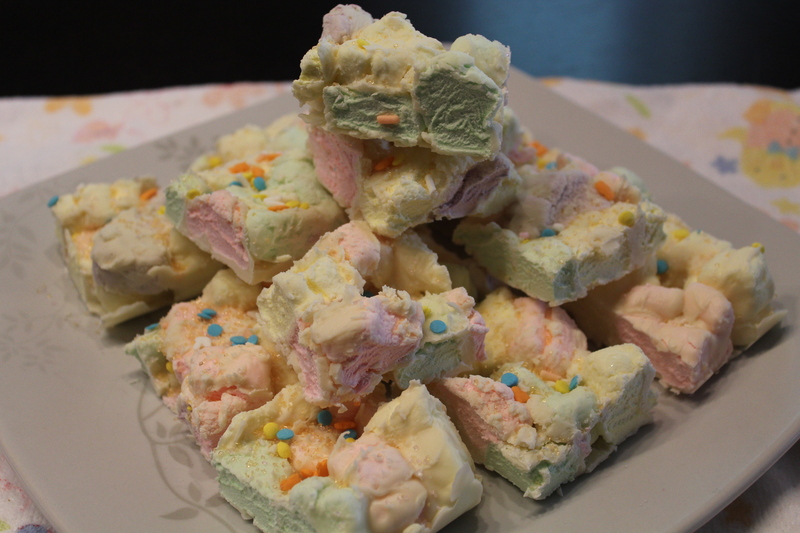 Again, in my desire to make believe that spring has finally sprung, I whipped up a truly refreshing spring-time dessert that I brought to Easter. Using this recipe as my base, I went ahead and made some modifications to use ingredients I either had on hand, or knew I would use again. 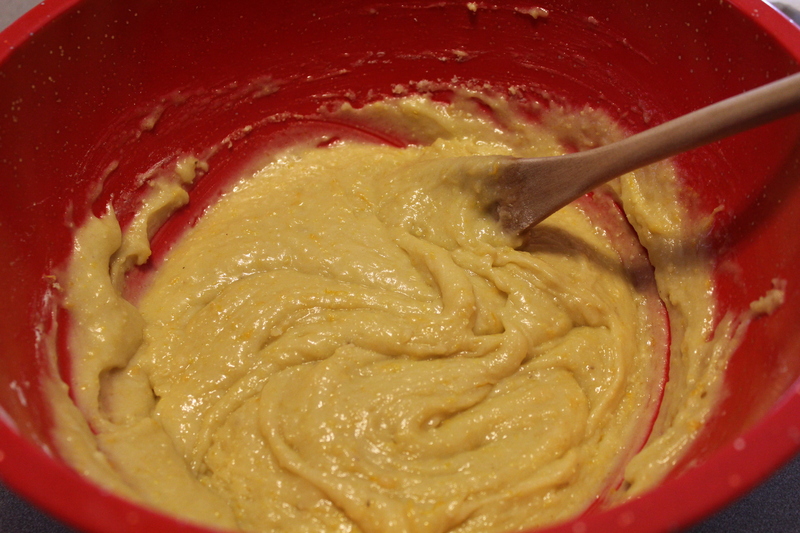 For example, I just could not see my future need for coconut flour, so regular old bleached flour it was for me. 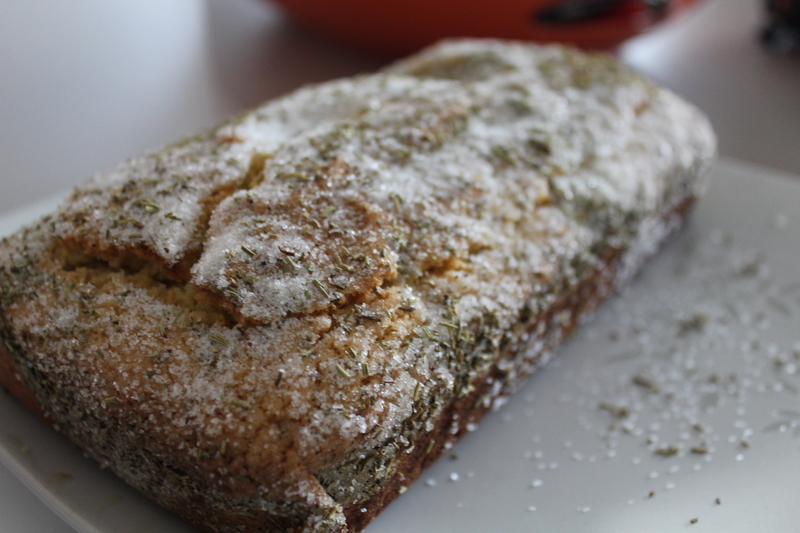 Crust – I used whole wheat flour instead of spelt flour. 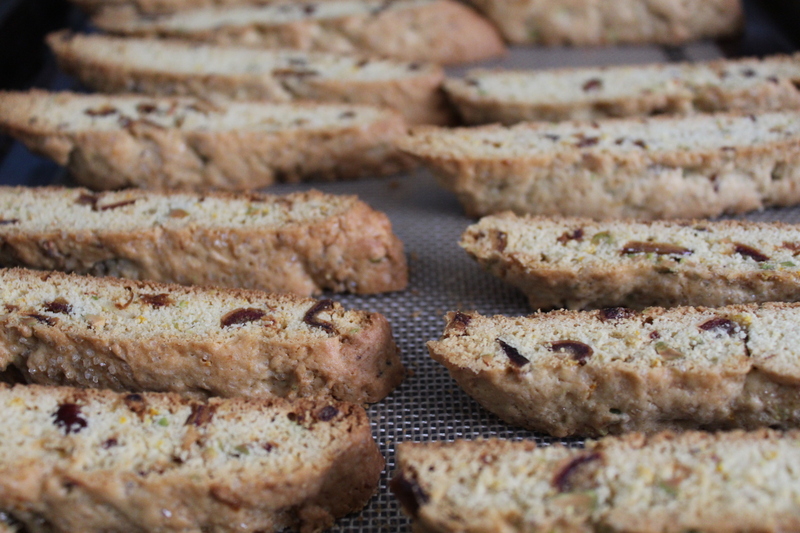 Side note: What is spelt flour? I also didn’t have a rectangular tart pan. I didn’t have an 8 inch springform pan either. So, I used what I did have – a 9 inch springform pan. I’m not sure I’d use it again, as it made the tart filling be a really thin layer. 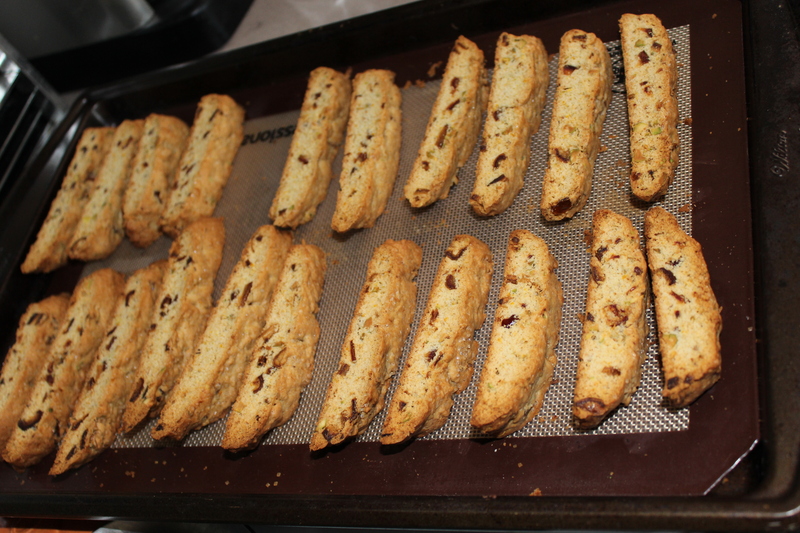 Finally, I have no idea what the heck the parchment paper was all about. All it seemed to do was mess up the edges of the tart. I’d go without the paper next time around. 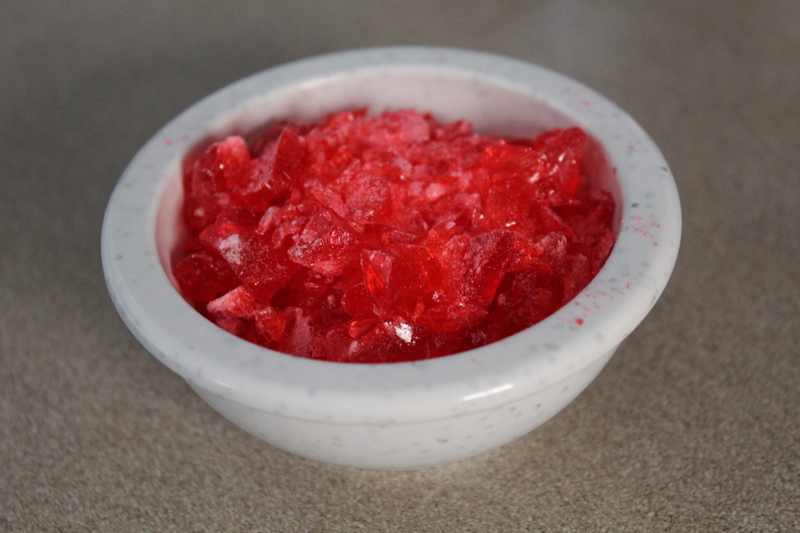 I found this dessert to be subtle-y sweet, an not over the top. 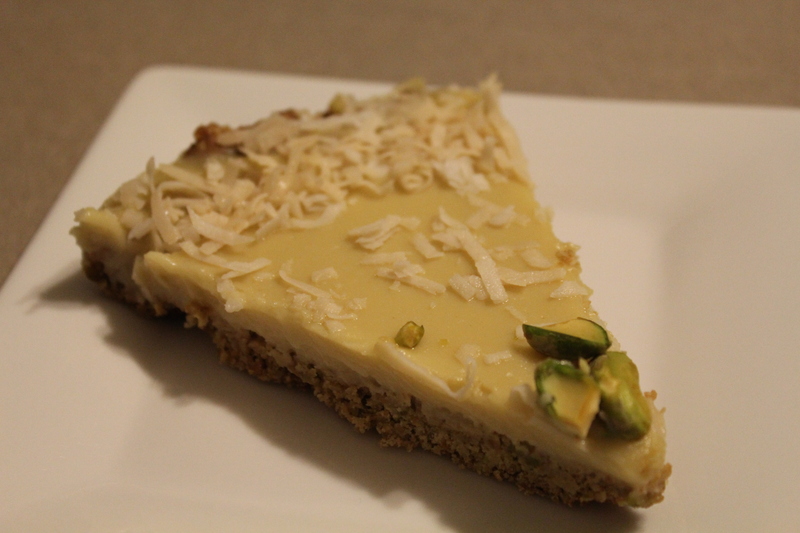 My favorite part was definitely the nut-based crust, as opposed to a standard graham cracker crust. It really gave the tart a wonderful flavor. My friend, Liz, hosted a small viewing party to watch the Oscars last night. 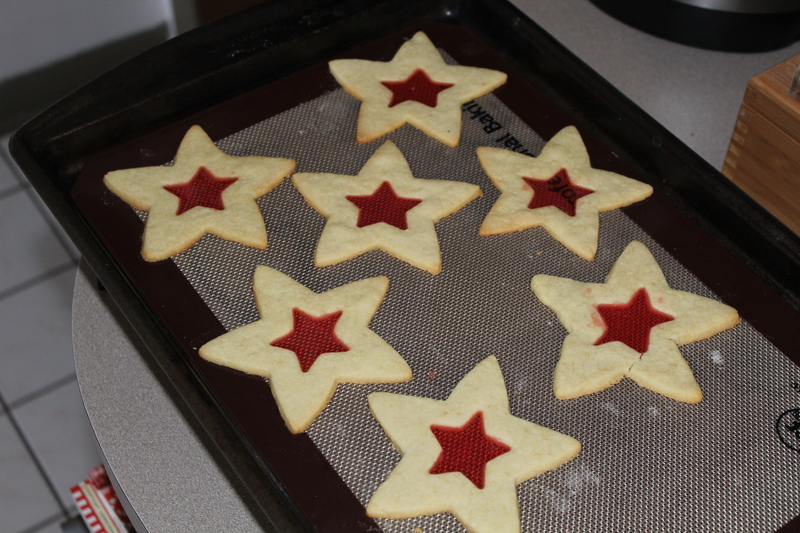 I thought about what to bring for a dessert, and I decided on these cute star cookies. 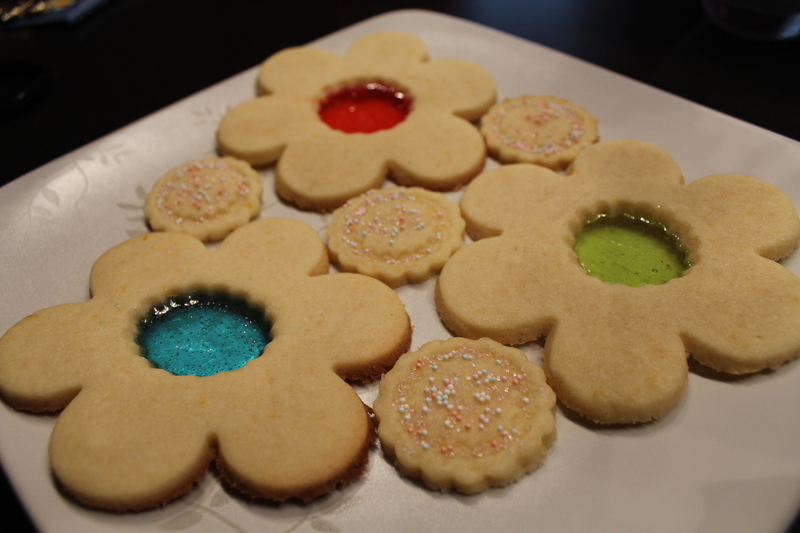 Making them was actually quite easy. 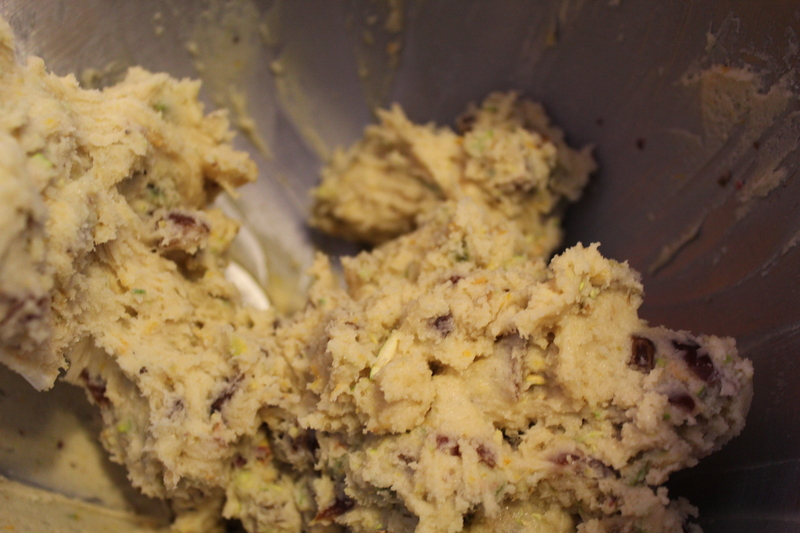 Start with your favorite sugar cookie dough. 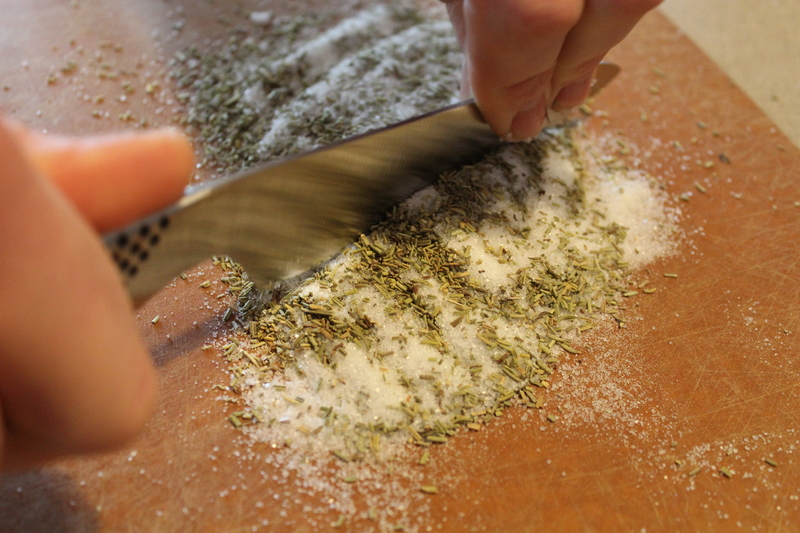 Store-bought or homemade works the same. 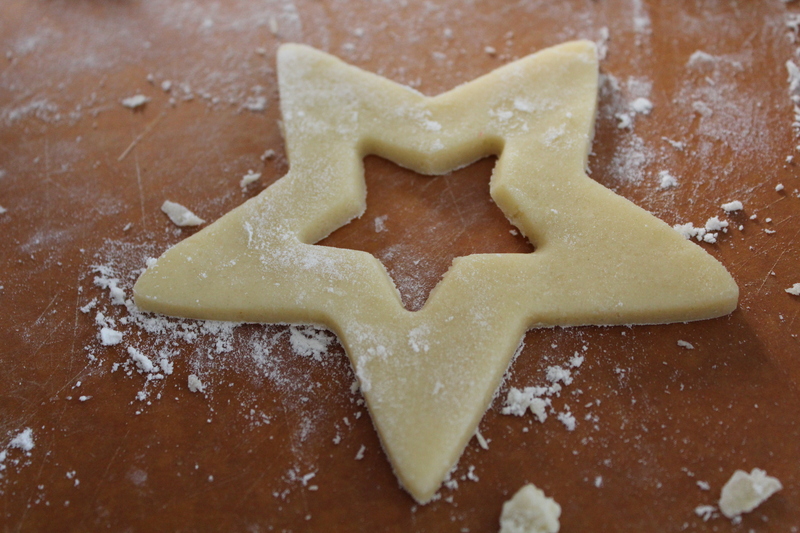 Roll out the dough to about 1/4 inch thickness and cut out star-shaped cookies. 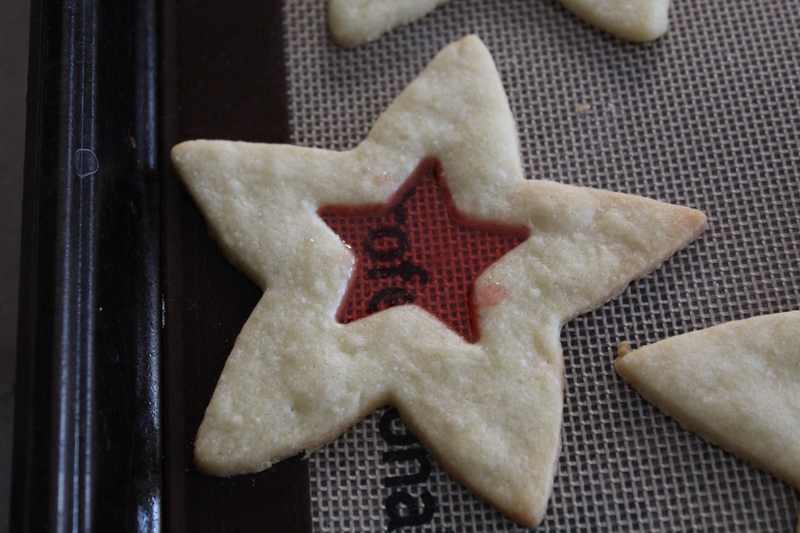 Use a smaller cookie cutter, ad cut another star shaped cookie out of the larger one. 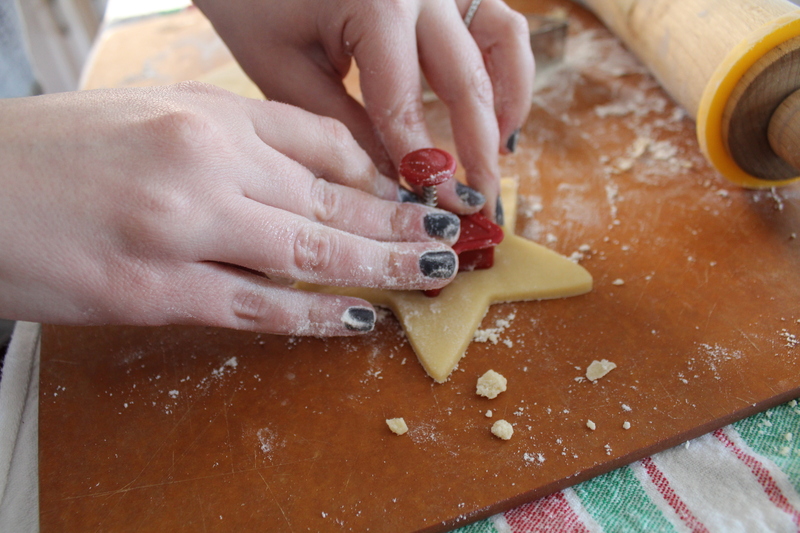 Put the cookies on a silicone baking mat (this is super important!) and bake at 350 for about 8-10 minutes. 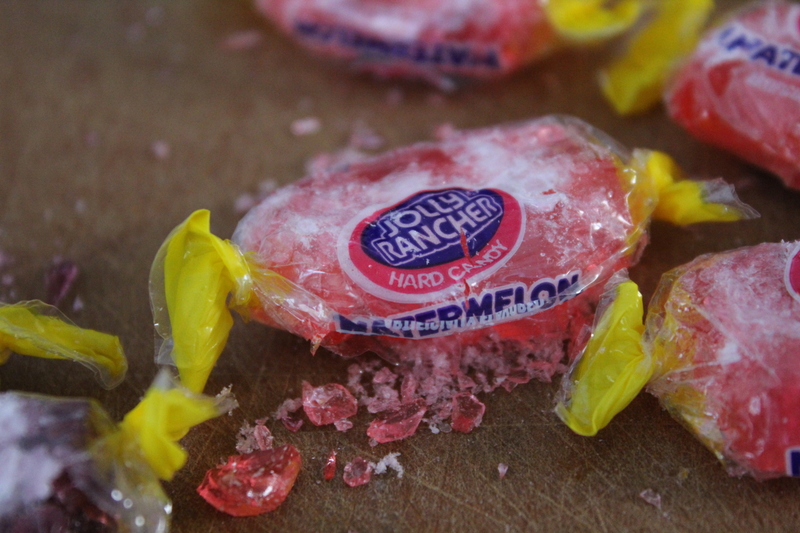 In the mean time, take some jolly ranchers and hit them once with a meat tenderizer. 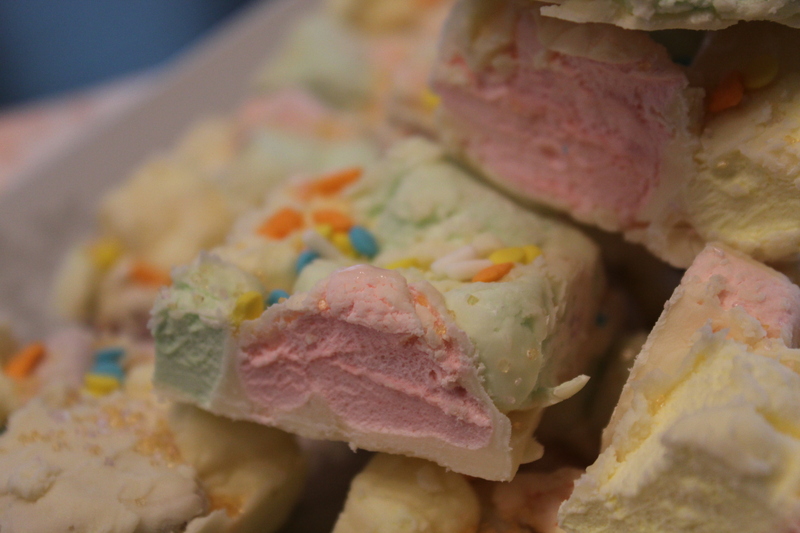 You don’t need to completely smash the candy – larger pieces will work fine. 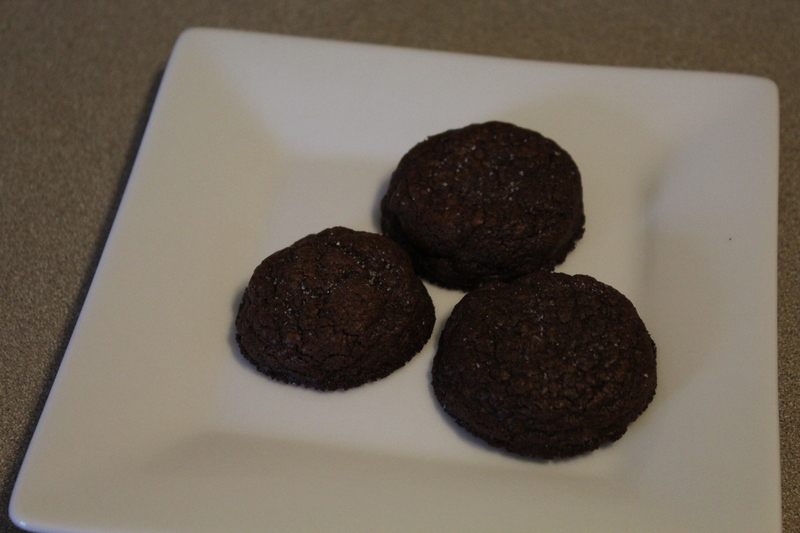 Once your timer goes off, take the cookies out of the oven and remove the smaller cookies from the pan. They should be done. 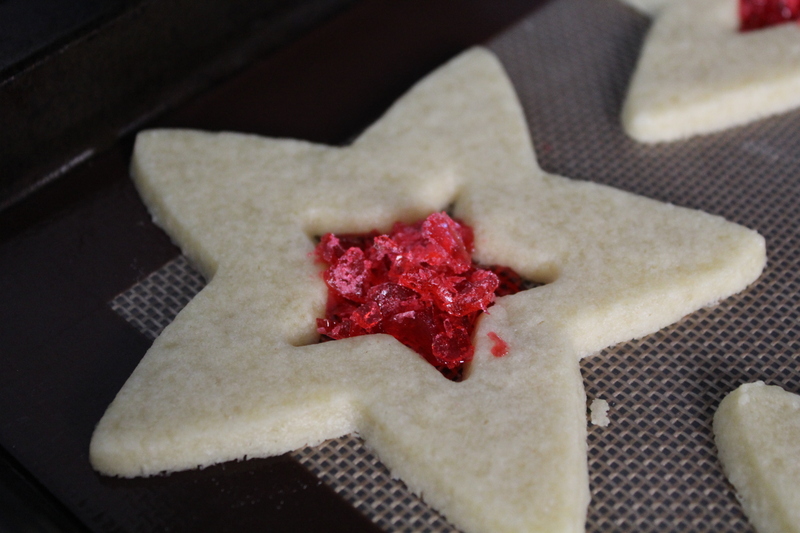 Fill the inside part of the stars with the crushed jolly ranchers. That one didn’t make it to the party. Put the cookies back in the oven for only another minute or so. When they come out, they should look like this. Let the cookies rest on the baking sheet for a few minutes. You want to make sure the candy hardens. 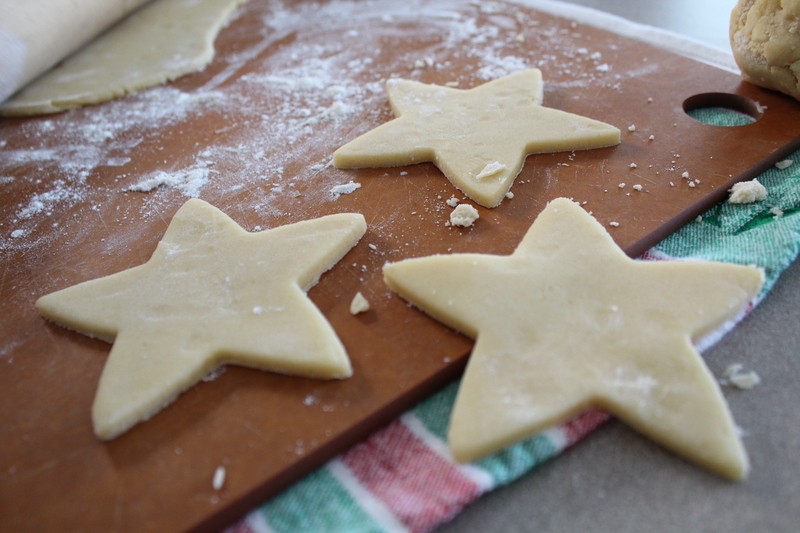 Use a spatula to remove the cookies from the pan, and let them cool on a baking rack. 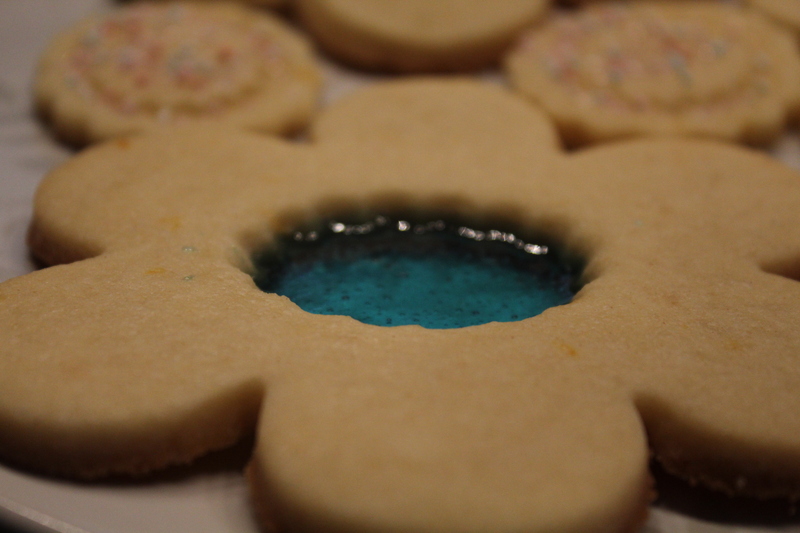 I love the way the candy is sort of see through and creates a pop of color in the cookie without adding icing. 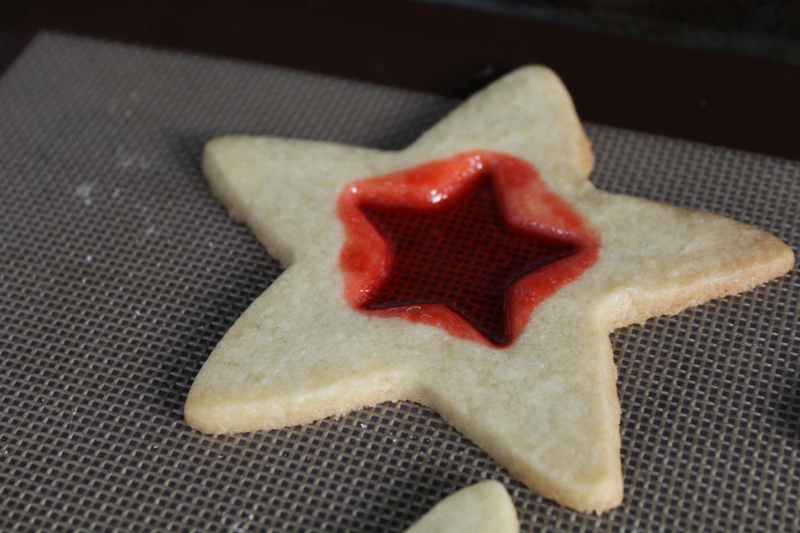 The red was a great way to add the red carpet into the cookie itself. Also, because the candy is really thin, you can bite into the cookie without breaking your teeth. 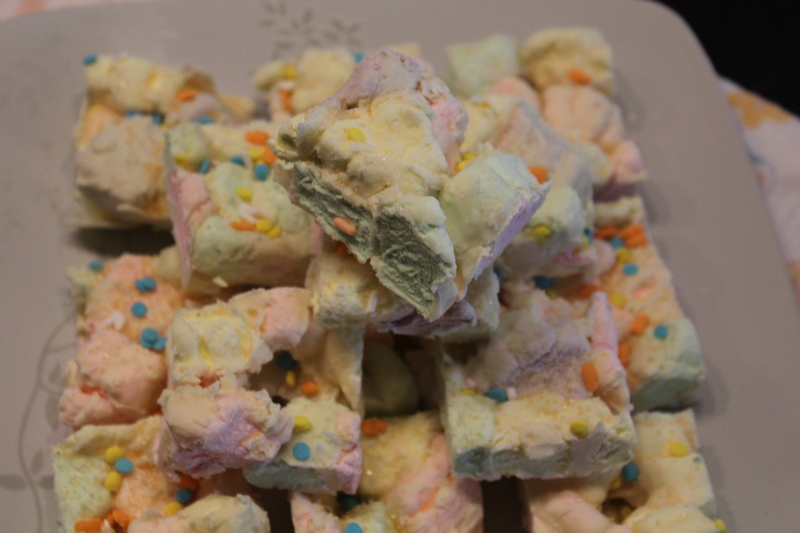 These were a big hit at the party – none were left!